Con artists are reportedly using the household charge deadline as a way to extort money from residents in some areas. THE GOVERNMENT HAS urged people to be vigilant after reports that con artists are attempting to take money from homeowners under the pretence of collecting the household charge. Gardaí echoed the warning from the Department of the Environment, which said that genuine local authority staff would never collect money from residents. “Under no circumstances should people hand cash over to anybody purporting to be collecting the Household Charge,” the Department said in a statement issued to TheJournal.ie. However, council workers will be calling to homes to remind residents that the charge is due. The Government has been accused by critics of failing to provide sufficient information about the due date for the charge, which must be paid by Saturday. There will be no local authority staff knocking on peoples’ doors to collect the Household Charge. The idea is that local authority staff will be calling door to door simply to remind people that the charge is due. Any staff calling to peoples’ homes will have appropriate identification. 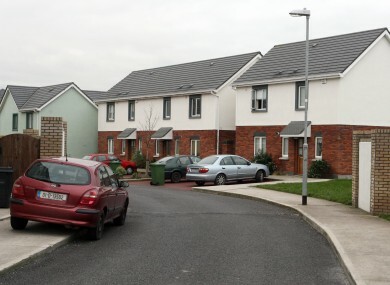 A spokesperson for Meath County Council confirmed that two people had been calling to houses in the Kells area saying that they were collecting the household charge. The council were alerted on Monday afternoon and immediately put out a warning, the spokesperson said. A garda spokesperson said that con artists would often use topical issues when attempting to extort money. “Our advice is that all callers should be properly identified,” he said. If residents are not happy with the identification offered they should ask the visitor to come back later, or call the company or local authority in question, he added. Email “Homeowners warned over bogus household charge collectors”. Feedback on “Homeowners warned over bogus household charge collectors”.